The Alfa Romeo Giulia is the brand's first new volume model since 2010. Fiat Chrysler CEO Sergio Marchionne hopes that his 5 billion-euro ($5.3 billion) bet on Alfa Romeo will result in eight new models that boost global sales to 400,000 vehicles by 2018 and bring an end to more than a decade of financial losses at the 105-year-old brand. If I were Marchionne, I would be very worried about not achieving those three ambitious goals -- and I’m not alone. Let’s start with the sales goal. IHS Automotive has the most pessimistic view. It expects Alfa to sell just 216,000 vehicles globally by 2018, which is a little more than half its target. ISI Evercore is the most optimistic as it foresees 2018 sales as high as 330,000, which is still well under target. There is a good reason for the doubt: Alfa has been terrible in achieving its goals. This is Marchionne’s fourth Alfa revival bid since he joined Fiat in June 2004. The last plan promised 500,000 Alfa sales by 2014. The actual global sales tally for Alfa last year was less than 70,000. The automaker’s volume has been in free fall for years. In 2002, sales slipped below 200,000 vehicles; in 2013 they dipped below 100,000; this year -- like last year -- they won’t even reach 70,000. All of Marchionne’s previous plans promised a flurry of new products, but less than half of these vehicles reached the market. Today, Alfa’s lineup includes two volume models, the MiTo and Giulietta, and two variants of the limited-production 4C. Like many successful people, Marchionne isn’t afraid of failure. He proved this once again last month by reconfirming that the first model in Alfa’s new era, the Giulia midsize sedan, would go on sale by the end the year followed by a second model six months later. 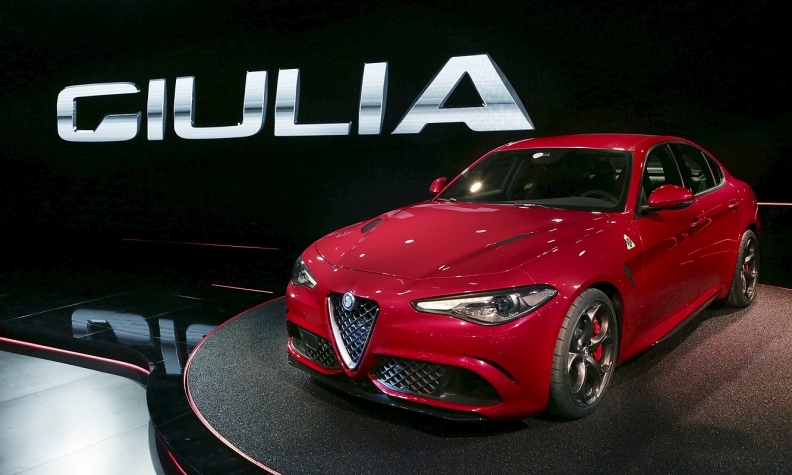 Suppliers involved in the project expect Giulia sales to begin in February, followed by a midsize SUV late next year and a flagship sedan in mid-2017. This means the remaining five new models will need to arrive in the last 18 months of his five-year plan. Delivering a new model each quarter for five consecutive quarters is a challenge that even BMW, Audi or Mercedes-Benz would struggle to achieve. Alfa hopes the Giulia can match the success of the 156, pictured. What makes this relaunch attempt different from previous ones is that Alfa will once again have a dedicated, purpose-built platform. 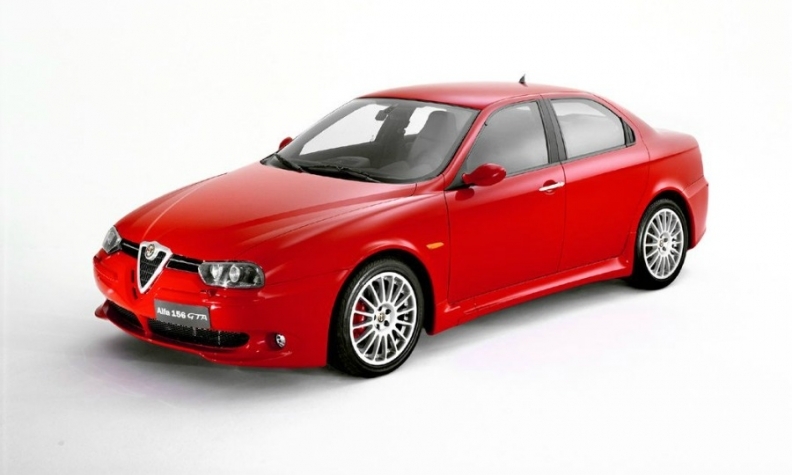 Alfa’s last really successful volume model, the 156, had its own specific underpinnings when it arrived in 1997. This resulted in ride and handling that matched or beat Germany’s best premium brands. For the Giulia, having a dedicated platform means that the brand can return to his sporty roots by making sure the standard layout of all future models is rear-wheel drive. Another side is that the Giorgio platform requires the use of front longitudinal engines, which result in the short front overhangs needed to reach a 50:50 weight balance. The Giorgio architecture also is flexible enough to allow Alfa to offer all-wheel drive, which is crucial to its plans to launch its first SUV. When it comes to the engines, Alfa has promised high-performance units such as the BMW M3-beating 510-hp twin-turbocharged 2.9-liter V-6 engine that will go in the top-of-the-line Giulia Quadrifoglio variant. That engine is derived from the V-8 unit that Ferrari builds for the Maserati Quattroporte sedan. While the power will be impressive, Alfa’s powertrain portfolio lacks anything as revolutionary as the common-rail diesel technology that was an industry first when it debuted on the 156. It was one of the reasons why that 156 was the last truly successful volume Alfa. Maybe this revival plan will be the one that gets Alfa back on track. If not, there might not be a fifth attempt and Alfa will slowly die, as Lancia is currently doing.